In autumn and winter, cough and dyspnea as the main symptoms of poultry infection caused by a variety of pathogenic factors can easily cause daily weight gain, feed conversion rate, egg production rate, etc., and cause serious economic losses to the poultry industry. Prevention. In order to improve the ability of the birds to keep out the cold, we must provide feeds that are higher than normal energy standards, give full-price balanced feeds, and fully ensure the intake of vitamins and trace elements. In addition, one of the most important measures is to conduct effective disease prevention through vaccination, purchase high-quality vaccines, and select suitable vaccination methods for poultry immunization. Treatment. Once a respiratory disease occurs, choose the appropriate medication. For simple drug treatment, broad-spectrum antibiotics such as ciprofloxacin, enrofloxacin, doxycycline, etc. can be selected for feeding or drinking water, and sometimes drugs can be used for drug combination, such as enrofloxacin and sulfa drugs for treatment. , can effectively control the spread of the disease. Pay attention to the periodicity of drug use during treatment. SMAPC is a professional animal pharmaceutical/veterinary drug/animal medicine factory with export department. 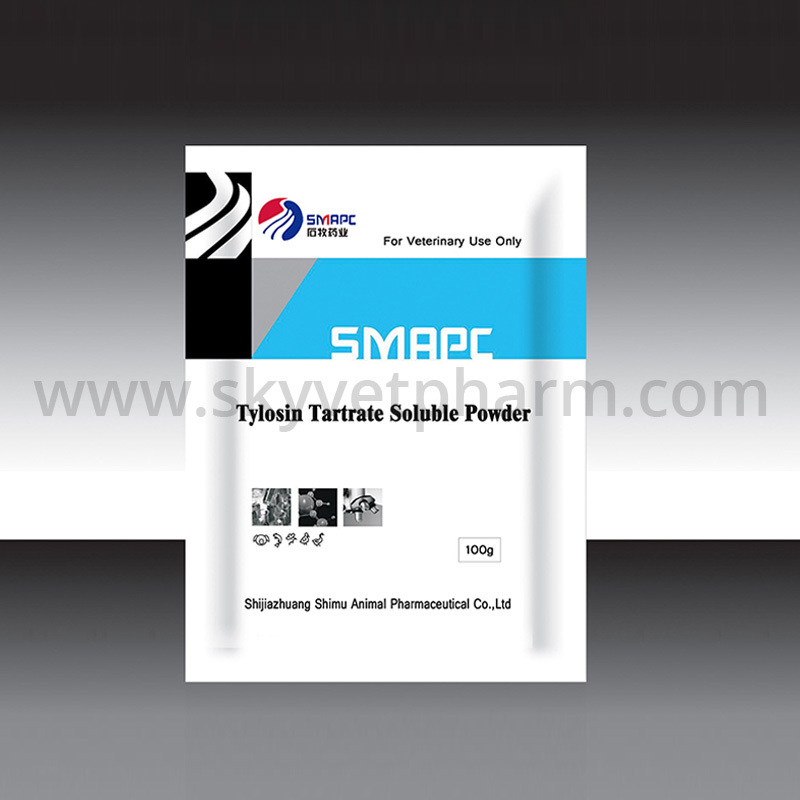 We provide powder, premix, tablets, granules for poultry, chicken, ducks, gooses and pigeon.